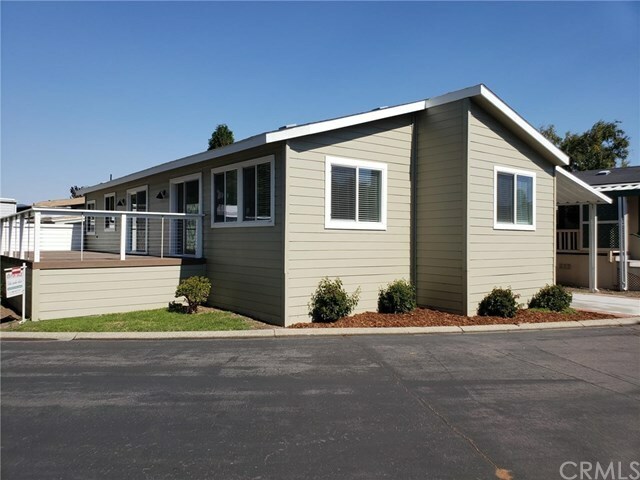 Creekside living in San Luis Obispoâs most beautiful Manufactured Housing Community. Creekside. Trees, coastal breeze, natural setting â¦ SLO Living at its best. Newly updated Hallmark corner lot features open floor plan, over-sized great room, 2 bedrooms and 2 baths. Most rooms feature beautiful vistas of the Creekside Creek park. This sought-after community has amenities such as: a natural creek, walking paths, heated pool and spa, playground, as well as a clubhouse with library and game room, all within walking distance to a stores and dining. This home is near to wine country and the coastal path. For more information on this home please contact the park office. Selling Office: Bjerre & Garcia Realty Inc.